The Fate of Europe has become visible. Only how and when the break comes remains uncertain. Summary: The last act of the EMU’s death throes has begun. We already knew the two possible endings: further unification or fragmentation. Now we can see far enough to guess about when and how it will end. Probably in a crisis, in which the odds of policy errors will be high — and the odds of unification are low. What will resolve the situation? What about the magic of Central Bank action? Those words of Prime Minister Papandreous marked the beginning of the end for the European Monetary Union. Now, two years later, it enters what looks like its final stage. Here are forecasts about the next steps. We cannot see the ending, but unification or fragmentation seem likely alternatives. The current system is dying. The European Economic and Monetary Union (EMU) was born on 1 January 1999 as a bold attempt to unify Europe by monetary policy as an intermediate step between a loose confederation and full political union. Many experts said it would fail (see here for details). The 2008 – 2009 crash exacerbated imbalances that had accumulated from the EMU’s flawed design (for details see the articles at the end of this post). Each stage of the EMU’s death throes was a crisis, met by measures that were slow, late, incremental, and too small. Each crisis larger than the previous in both euros and territory. Each response was known to be inadequate when made (despite the giddy applause greeting each new package). Nothing more was possible. The leaders of the EU, ECB, and IMF — like ours — operate within narrow ranges of freedom. Bold actions work only when a nation’s leaders and people will support them. Europe’s elites and peoples want two incompatible things. They want unification (to avoid war and control their destiny in a world of giants). They don’t want what goes with it — the transfer payments (eg, as California taxes go to spending in Mississippi & New Mexico), the central control of spending (ie, by Germany), and the need to get along with one another. Political science is, in a sense, the study of how people resolve incompatible goals and values. Europe has been unable to do so for two years. Nothing can be done until they square this circle. The current EMU is a jury-rigged halfway house, now in ruins. Europe must unify or fragment. Each crisis provides an opportunity to take decisive steps, but the necessary political consensus remains elusive. So Europe’s leaders glue together the widening cracks in the EMU while planning for the future (ie, the European Fiscal Compact; see Wikipedia). That’s probably all they can do now. Many people believe that leaders have the ability to mold public opinion. A large body of research shows this to be false. Events often shape public opinion; political theater and pretty speeches seldom do. (2) What will resolve the situation? — Spanish Economy Minister Luis de Guindos on 31 May 2012, about the IMF report showing 97 billion euros left Spain in Q1 (66 billion of that in March). From Bloomberg. I believe that only a crisis will force radical change. The most likely spark: a large-scale run on the banks of one or more of the PIIGS. This is a common ending for currency unions, and may have already begun. Greece has seen steady outflows of funds. A run may have started in Spain. Runs are a mob event, mass hysteria — but mobs often develop in response to real dangers. Unfortunately, few people make quality decisions during the pressure and rush of a crisis. More likely are unwise or even disastrous choices (for an example see The Titanic’s lessons for us about the coming economic crisis). Worse for the long-held dreams of its people, during a crisis the ambit of people’s love tends to narrow. Not a propitious time for unification. The people might cry Every nation for itself; let the weak of Europe fend for themselves. The history of America provides a cautionary example. Both of our two Republics were conceived in relatively calm times. The First in 1776, before the revolution got rolling. The Second (our current one) in 1783, after the war’s end. (3) What about the magic of Central Bank action? “If he’s alive or dead it doesn’t matter. If he’s dead, just prop him up and put some dark glasses on him like, like ‘Weekend at Bernie’s'”. Elected officials have come to rely on Central Bankers’ policy action as crutch, as an escape from making necessary changes in national policy. Monetary and bank regulatory policy can do many things, but to have beneficial long-term effect it must be part of a larger package of regulatory, tax, and fiscal spending policies. Also, Central Bankers have little legitimacy. Especially in troubled times. Unelected bankers, they’re inherently undemocratic and easily become targets for public anger. This makes them even less interested than usual in decisive action. Plus they tend to have narrow backgrounds and training. Money is not God, even when worshipped. Knowledge of money does little to make effective public policy on earth or gain the keys to heaven. Previous Post America is rich and powerful because we can borrow. Will this debt build a stronger America? Next Post US economic update. Everything that follows is a result of what you see here. (1) Going with the Titanic analogy, if a bank run takes place, the standard by-the-book response would be for the ECB to lending all the other banks in the system more money, to contain the damage. Where’s the “decisive action”? I’m thinking it would be the end of the austerity strategy, not the Euro. (2) Soros says, if I understand correctly, that in 3 months (or whenever it inevitably happens) that the German economy will suffer too, therefore the German public and government will not want to throw more money at the problem. I like his analysis a lot, especially the idea that the financial system has outgrown professional understanding of how it is controlled. but I have a hard time believing Germany would be willing to bail out of the Euro. Is it clear that it would benefit them to do so? Blackmail to extort public consent for printing new money for banks. This guys is very quiet spoken, but he makes some controversial points. “The greens must be stopped from taking over much of our economy.” Hmm. “Europe should forget such plans as a fiscal union not to speak about anti-democratic ambitions to politically unify the whole continent.” “Europe should return to Democracy, which can only exist at the level of nation states.” The implication here, of course, is that the EU is not Democratic. 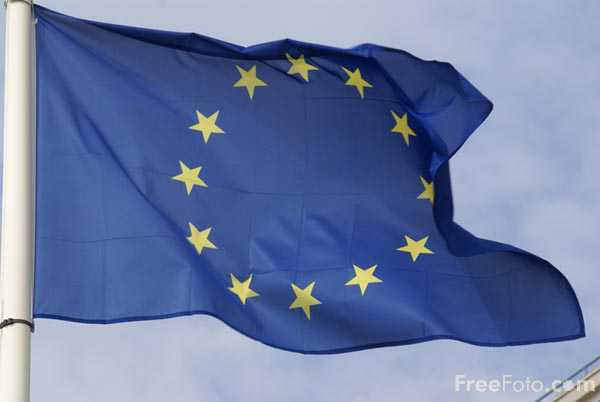 The EU is not very democratic, as political power is concentrated in unelected officials. The “democratic deficit” has been constantly deplored for all avatars of the EU, i.e. EC and EEC too, for the past 30-40 years or so. A democratic deficit (or democracy deficit) occurs when ostensibly democratic organizations or institutions (particularly governments) fall short of fulfilling the principles of the parliamentary democracy in their practices or operation where representative and linked parliamentary integrity becomes widely discussed. The phrase democratic deficit is cited as first being used by the Young European Federalists in their Manifesto in 1977, which was drafted by Richard Corbett. The phrase was also used by David Marquand in 1979, referring to the then European Economic Community, the forerunner of the European Union. The same thing also applies to NAFTA, Kyoto Protocol and other international agreements that sign away bits of sovereignty to institutions that are aren’t directly responsible to any voters. Of course, with the EMU this all metastasized into, err, into this train wreck we’re all reading about. If fiscal union will not be democratic, and he’s got a point, and if fiscal union is the only thing that will save the EMU, then maybe the EMU should just die. What’s not clear is how the EMU is going to fight back. Might we see another ‘banker coup’ like Italy and Greece had in 2011? With luck, Brussels considers this card played, and there’s no trying this again. What institutions does NAFTA and Kyoto “sign away sovereignty to”? But we are at an inflection point. The Greek crisis is liable to come to a climax in the fall, even if the election produces a government that is willing to abide by Greece’s current agreement with its creditors. By that time, the German economy will also be weakening, so that Chancellor Angela Merkel will find it even more difficult than today to persuade the German public to accept additional European responsibilities. Barring an accident like the Lehman Brothers bankruptcy, Germany is likely to do enough to hold the euro together, but the EU will become something very different from the open society that once fired people’s imagination. The division between debtor and creditor countries will become permanent, with Germany dominating and the periphery becoming a depressed hinterland. This will inevitably arouse suspicion about Germany’s role in Europe – but any comparison with Germany’s past is quite inappropriate. The current situation is due not to a deliberate plan, but to the lack of one. It is a tragedy of policy errors. Germany is a well-functioning democracy with an overwhelming majority for an open society. When the German people become aware of the consequences – one hopes not too late – they will want to correct the defects in the euro’s design. It is clear what is needed: a European fiscal authority that is able and willing to reduce the debt burden of the periphery, as well as a banking union. Debt relief could take various forms other than Eurobonds, and would be conditional on debtors abiding by the fiscal compact. Withdrawing all or part of the relief in case of nonperformance would be a powerful protection against moral hazard. It is up to Germany to live up to the leadership responsibilities thrust upon it by its own success. Except the fiscal union without a political one was the whole point, starting with the European Coal and Steel Union I think. They took incremental steps, doing what was possible, allowing the deficiencies they couldn’t tackle to become apparent before pushing further for unification. They knew a fiscal union without a political union was ultimately untenable, which means they were planning on further steps. That didn’t happen, not sure why (would be curious to see this explained) but yeah, the people that pushed for the EU knew what it was lacking. So to say it was not planned I think is off base. The current system was very planned, and the results we are seeing were expected once further unification did not come about. At least that’s my take.